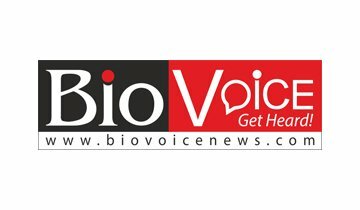 Worldwide sales of Hyoscine-N-Butyl Bromide recorded a steady growth by registering 4.0% CAGR between 2013 and 2017. 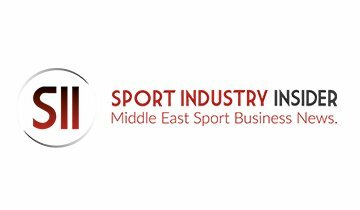 However, the market is likely to witness significant growth in the coming years owing to its wide application in treating various conditions and acting as muscle relaxant. 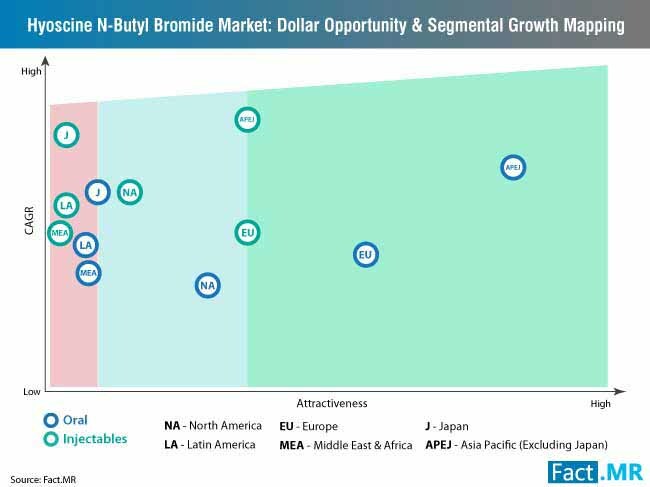 The Hyoscine-N-Butyl Bromide market was valued at over US$ 50 million in 2018 and is projected to register Y-O-Y growth of 4.3% in 2019. Europe is expected to be the largest region in the Hyoscine-N-Butyl Bromide market during the forecast period and account for an estimated 34.6% share by 2019 end. APEJ is likely to emerge as the fastest growing region in Hyoscine-N-Butyl Bromide market, owing to the rise in gastrointestinal problems leading to spasms and increasing use of anti-spasmodic drugs. For further information about the key insights into the Hyoscine-N-Butyl Bromide market, request a sample. 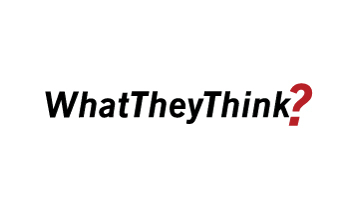 What is Driving Hyoscine-N-Butyl Bromide Market? Hyoscine-N-Butyl Bromide continues to witness significant demand owing to rise in abdominal pain and cramping as frequent problem in the adult population, especially in Western countries. According to the International Association for the Study of Pain, by 2050, proportion of people over 65 years of age will increase from 17.5% to 36.3% in the developed countries. Moreover, in recent years around 20% of adults have been suffering from chronic pain. The problem in many elderly people is still under treated and there is a need for increased research. Hyoscine-N-Butyl Bromide does not penetrate the blood-brain barrier making it beneficial for use in the treatment of abdominal pain caused by cramping, especially during painful menstruation. Increasing prevalence of Irritable Bowel Syndrome (IBS) is resulting in the growing demand for antispasmodic, thereby, resulting in substantial growth in Hyoscine-N-Butyl Bromide market. According to the International Foundation for Gastrointestinal Disorders, there are around 2.4 to 3.5 million annual visits to physician for IBS in the US alone. With rise in colorectal cancer worldwide, colonoscopy is finding wide application in detection and surveillance. Hyoscine-N-Butyl Bromide is widely used by colonoscopists to reduce bowel spasms during colonoscopy. With increasing number of studies proving safety of Hyoscine-N-Butyl Bromide for the treatment of self-reported functional cramping and abdominal pain. 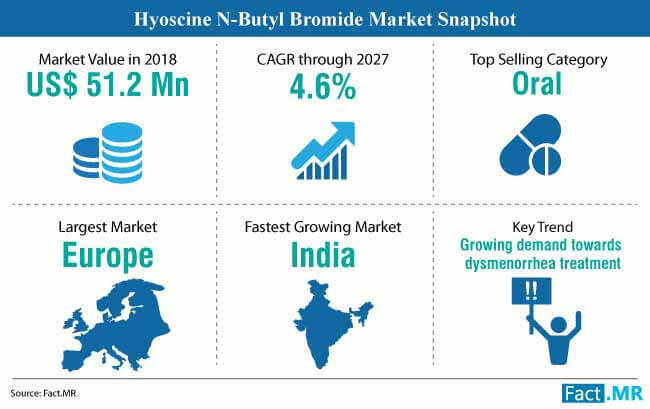 On-demand Hyoscine-N-Butyl Bromide is witnessing growth in the Hyoscine-N-Butyl Bromide market. What are the Key Challenges in Hyoscine-N-Butyl Bromide Market? Medicines with Hyoscine-N-Butyl Bromide as an active ingredient has been considered unsuitable for patients with megacolon, myasthenia gravis, and glaucoma. Moreover, these medicines are also not suitable for people with hypersensitivity to Hyoscine-N-Butyl Bromide and other components in the medicine. The injection of Hyoscine-N-Butyl Bromide can cause adverse effects such as anaphylaxis and tachycardia hypotension. While the risk associated with adverse effects is high in people with cardiac diseases. Moreover, patients death after receiving injection of Hyoscine-N-Butyl Bromide has been reported internationally. In most of the cases cardiac arrest or acute myocardial infarction was seen as the adverse effect. Boehringer Ingelheim has filed for the regulatory approval of Nintedanib for patients with systemic sclerosis associated interstitial lung disease with the EMA and FDA. Recently, Boehringer also entered into a research collaboration with GNA Biosolutions to develop emergency veterinary diagnostics, including rapid diagnostic test for African swine fever that can be used on the portable molecular diagnostic platform by GNA. 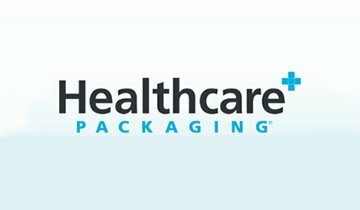 The FDA has approved Dicyclomine HCl Injection, the generic version of Bentyl Injection by Aptalis Pharma. Dicyclomine HCl is an anti-spasmodic and anti-cholinergic agent that helps to relieve smooth muscle spasms in the gastrointestinal tract. The injection is supplied as 20mg/2ml. Recently, the meta-analysis that was undertaken to evaluate effectiveness of the IBS treatment options, noted three clinical studies that have shown Buscopan as more effective in relieving IBS symptoms as compared to placebo. The clinical studies have also found minimal side-effects of Buscopan. Currently, Buscopan is rarely prescribed in the US, however, it may be commonly prescribed by physicians outside the US. 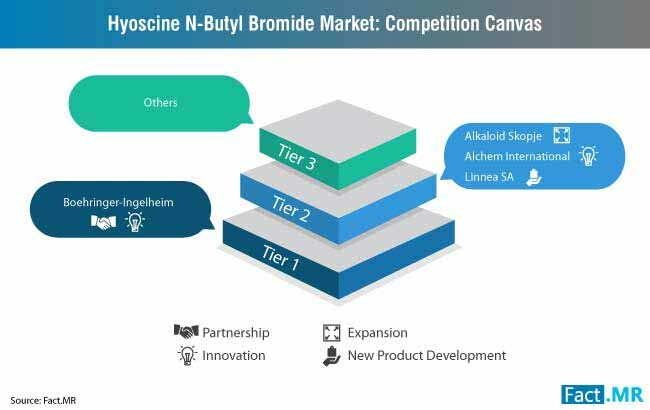 Some of the leading players in the Hyoscine-N-Butyl Bromide market are Alkaloid Skopje, Boehringer-Ingelheim, Linnea SA, and Alchem International. Fact.MR research report lends analytical insights into the competitive dynamics of the global Hyoscine-N-Butyl Bromide market. Summary of the report is available upon request. Hyoscine-N-Butyl Bromide used to treat abdominal pain and spasms is available in both oral and injectable form. However, with increasing sales of Hyoscine-N-Butyl Bromide under the brandname Buscopan which is an oral medication, the application of Hyoscine-N-Butyl Bromide in oral form is gaining traction. Moreover, with a range of benefits on oral administration of Hyoscine-N-Butyl Bromide, it is being used on a large scale. Upon oral administration, it binds and blocks muscarinic receptors, thereby, providing anti-spasmodic effect in the uterine, gastrointestinal, and urinary tracts. Many oral analgesic drugs are also finding wide application to relieve pain during gynecological procedures. Hyoscine-N-Butyl Bromide has gained popularity as the oral anti-spasmodic drug for relief from genito-urinary spasms. The report on the Hyoscine-N-Butyl Bromide market provides valuable and actionable insights and in-depth analysis backed by the robust research methodology. The insights on the Hyoscine-N-Butyl Bromide market are offered through extensive primary and secondary research. 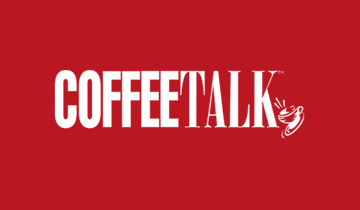 Exclusive interviews and discussions with industry experts were conducted as the part of primary research. Meanwhile, press releases, journals, annual reports of the companies in the Hyoscine-N-Butyl Bromide market and other valid data sources were used to obtain information and data on the Hyoscine-N-Butyl Bromide market. The conclusions in the report were drawn by combining both the research methodologies, by eliminating the misleading information and providing accurate information on the Hyoscine-N-Butyl Bromide market. 2018 has been considered as the base year to offer forecast on the Hyoscine-N-Butyl Bromide market for the period from 2019 to 2027. The report on the Hyoscine-N-Butyl Bromide market serves as an authentic dataset for readers and players to plan business strategies in order to stay competitive in the Hyoscine-N-Butyl Bromide market.